This is where we keep you updated on whats been happening at Sam's Fitness. 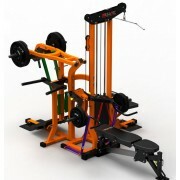 We are not Australia's biggest supplier of gym equipment - you have to sell cheap rubbish to achieve that. 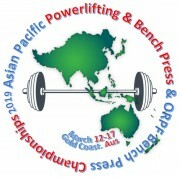 Sam's Fitness specialise in quality gym equipment for home gyms, personal trainers, sporting clubs and gyms that are after quality weight training equipment at an affordable price. 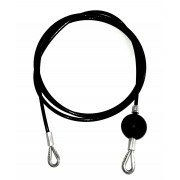 Looking for a replacement gym cable? Unlike a lot of our competitors we like to make sure that our customers get years of use from their gym purchases. Our gyms are built to last, some are getting close to 15 years old and still going strong. 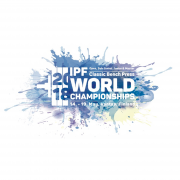 After an innings this long they deserve a bit of a f..
I’ve just came back from the World Classic Bench Press Championships which was held in Vantaa, Finland. It has been amazing experience to compete alongside world class athletes wearing green and gold. Massive thanks to Sam’s Fitness, everyone in Australian Powerlifting Union for making this happen a..
Big thanks to Raymond for sending in a pic of his new Barbarian Power Cage gym. Raymond shopped around and saw some pretty big name racks, but came back to the mighty Barbarian. You simply can't beat this rack in terms of price and quality.Hi Mathew,Finally got a chance to clear out my ga..
We talk to a lot of people who read about the positive benefits of weight training and want to start training with their own home gym. 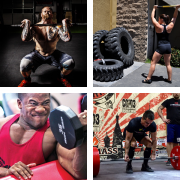 So many training styles For those just getting started, the variety of different sports can make it difficult to know where to start. Bodybuilding, powerliftin.. When did you first start lifting? I started training in 2010 and everything was perfect up until I graduated from high school in Lithuania. There are very few opportunities for work and careers in Lithuania, so I decided to work in the United Kingdom. I was working five to six days a week with..
We have decided to offer the Ironmaster Super Bench with the Megatec Half Rack and Megatec Smith Machine packages because it delivers you the best bang for buck. The price we sell these benches for easily makes them the best value gym bench in Australia. 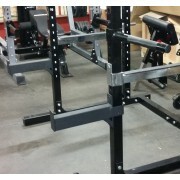 We can do this because we buy in massive..
We have started adding the ATX line of Power Racks and Cages to our range. They are relatively unknown in Australia, but a rapidly growing brand in Europe. So I thought I would give you a bit of background on how they came about. Certain American brands have grown in popularity with the explosion.. The Megatec Multiplex Gym has been a massive hit, especially in Sydney. People come into the shop and see that it is actually better than it looks. But the only drawback with this gym is that it comes in a crate, so for people that require delivery to a residential address, there is either a ta.. 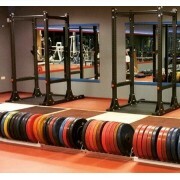 The Powertec Power Rack does not currently have a spotter bar option like the Barbarian Power Cage Spotter Bars. We have had many Powertec customers inquire about such a solution, but after some playing around we came up with an alternative.We have managed to fit the Ironmaster IM2000 Spotter A..